I have just returned from the Munich High End show. 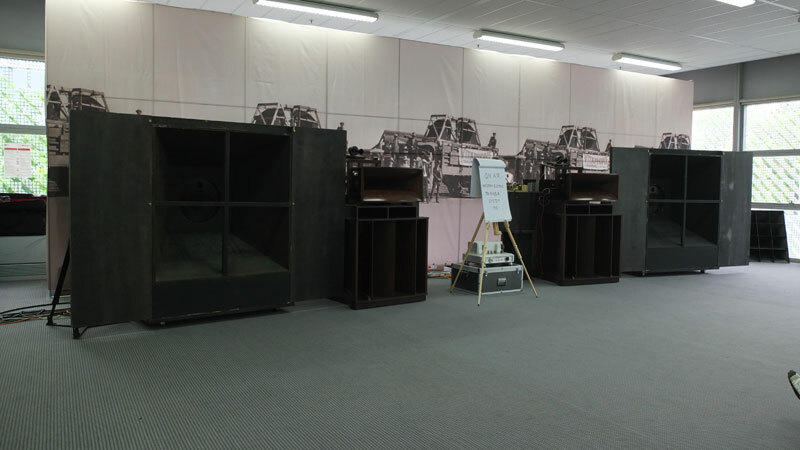 This year Silbatone showed a Western Electric TA 4165. 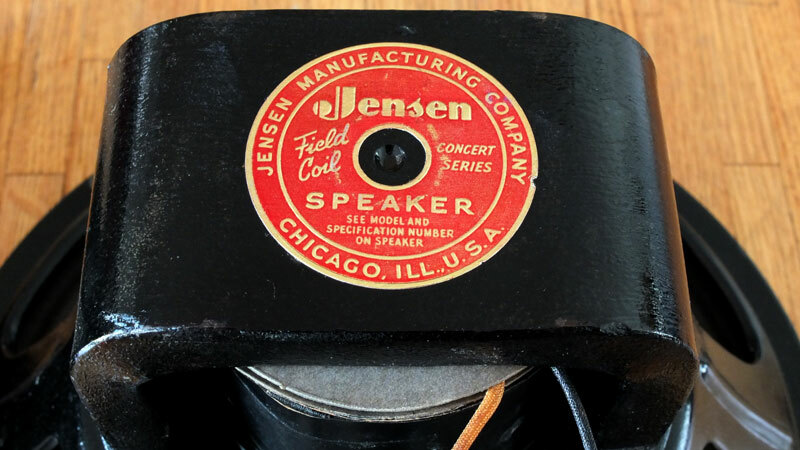 The woofer is OEM made by Jensen for Western Electric. 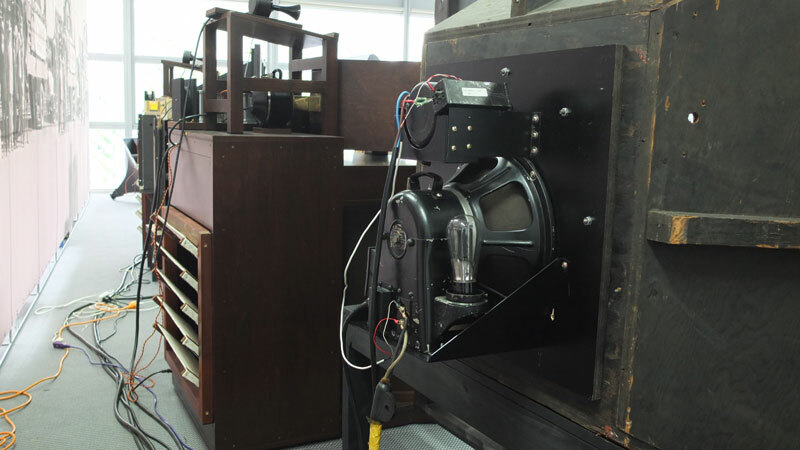 The WE version has a softer cone, a wooden element for better distribution of higher frequencies. Yet, it is a close relative to the Jensen A12, widely used in Hammond organs. 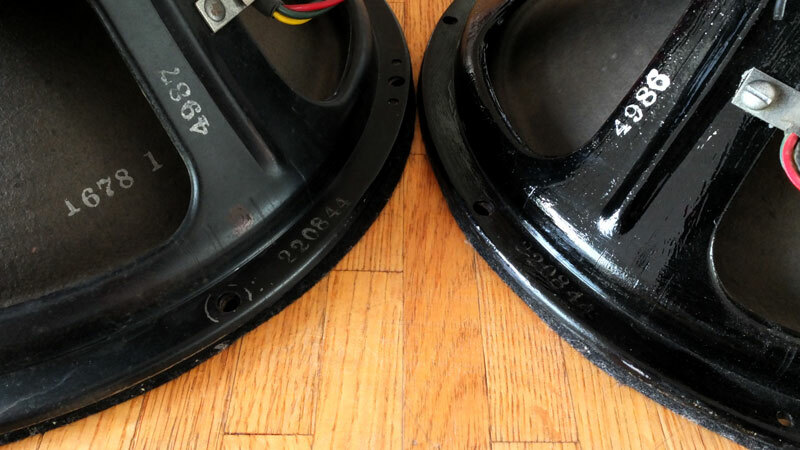 The setup sounded very good, so I pulled out my own pair of Jensen A 12 to see if they can be used for a similar setup. 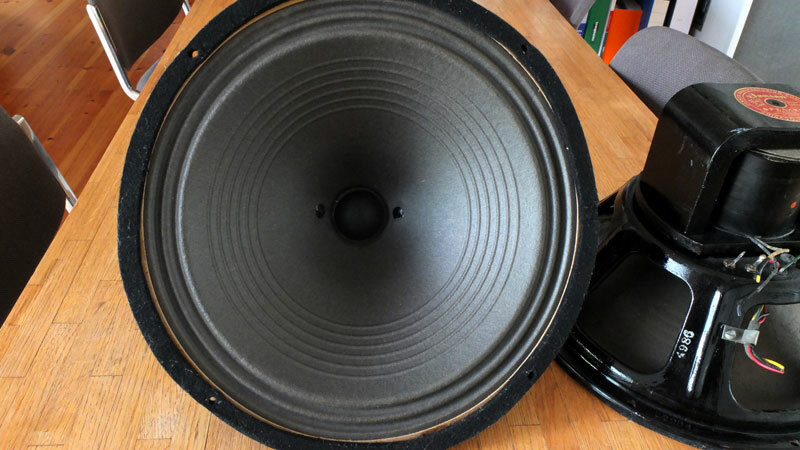 The pair has consecutive serial numbers, but more important, the cone seems to be able to deliver lower frequencies well. Not true for every instrument speaker. 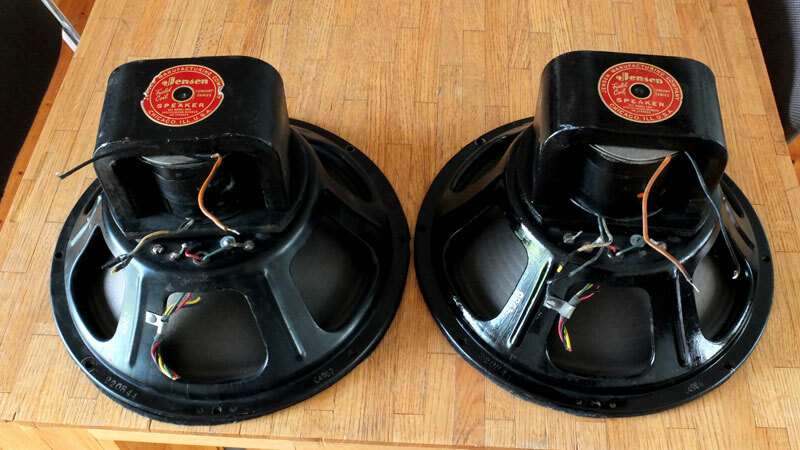 This pair carries a red label, as opposed to most Jensen A12s carrying a white label. So, I am not sure where they were used before. Certainly worth a test in a baffle.